Emi, Juan, Rosa & M.Carmen run UP School Of English, a new educative space that is destined to be a reference of the region. A project that counts with a wide professional and multidisciplinary team that shares the purpose of making a change and transforming the way of learning English. WHAT IS UP AND WHAT DOES IT OFFER? UP is a universe where you learn, play, draw, create, laugh; where all the senses are stimulated so that the learning of English becomes memorable. This innovative project provides the necessary resources to revolutionize the way of acquiring the communicative skills in English for all ages, from the youngest to adults. One of the main objectives of the team is to accompany our students through a motivating, creative and enriching learning experience, based on values ​​of great importance such as personal entrepreneurship, self-esteem, respect and optimism. But, WHAT MAKES UP SCHOOL OF ENGLISH DIFFERENT? Flexible learning spaces that permit working with different age groups, personalizing the learning process depending on the different necessities. ICT integration: at UP School Of English we use new technologies daily which are deeply integrated in the learning of the Foreign Language. Active and innovative methodologies: learning through competences, problem solving and projects, Design Thinking, CLIL, Gamification, cooperative learning and learning by discovering. Enjoying while learning: one of its most innovative characteristics is to propose a cozy and welcoming atmosphere. 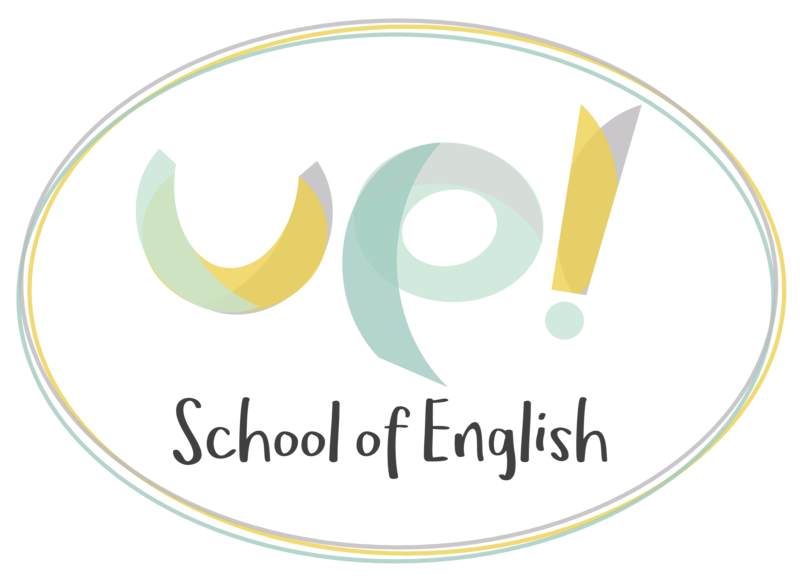 Moreover, our students can join the UP CLUB, in which they will take part in different activities and workshops, with the main aim of speaking English while having lot of fun.